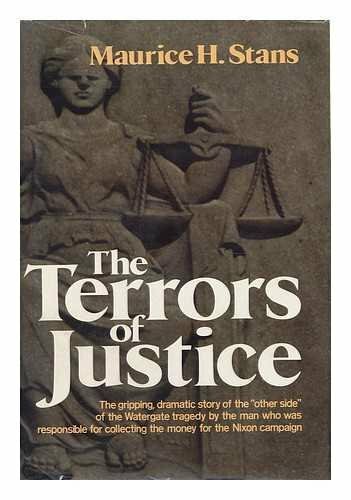 James Fulford writes: The Mueller Report, which was supposed to be about alleged “Russian collusion” with Trump, is due out, and many people in the Democrat/Media conglomerate are hoping for a rerun of Watergate, which they think of as a victory for the Rule of Law. It wasn’t, and we need to have one of those famous “conversations” about what it was, and why it mustn’t happen again. 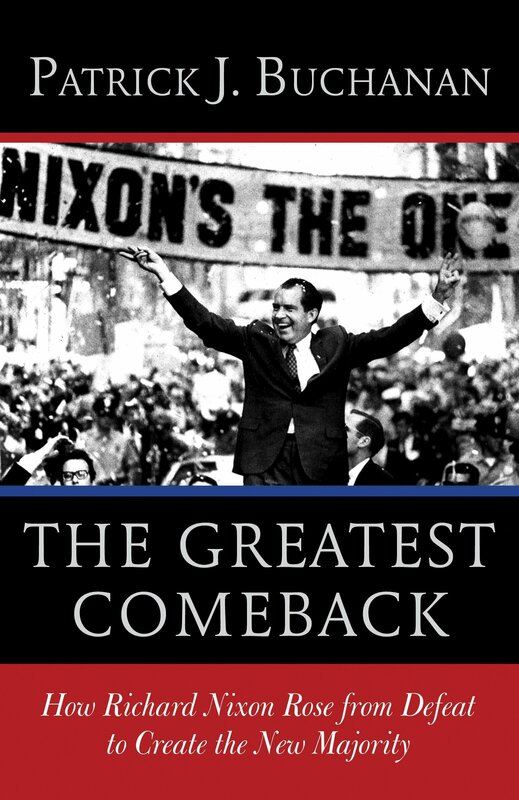 But by August 1974, Nixon was removed from office, and in April 1975, Vietnamese Communist troops occupied Saigon. What finished off South Vietnam was the “Watergate Congress” which voted to cut off all supplies. For details see James Webb’s Peace? Defeat? What Did the Vietnam War Protesters Want? American Enterprise Institute, May/June 1997. Mr. Liddy is obviously a cultured man, but his preoccupation with matters of honor, strength, and courage—matters that have been traditional male concerns in almost every society except our own—has rendered him about as comprehensible to the average book reviewer as a Martian. Hence he is ridiculed (by Larry L. King in the New York Times) or ignored (by the Wall Street Journal, the leading conservative newspaper, which has not reviewed his book—or Mr. Stans’s either, for that matter). The situation is complicated because Mr. Liddy is a cultist, one of the tiny minority of conservatives (and others) who are fascinated by the Third Reich. It is hard to know how serious he is about this. Some of his hints are so blatant (he named the Plumbers group ODESSA, after “a World War II German veterans organization belonged to by some acquaintances of mine”—i.e., the Waffen SS) as to recall his celebrated hand-in-the-flame exhibitions of willpower. Professor Alan Dershowitz of Harvard picked up all these hints, and wrote an angry review in The New Republicasking how a card-carrying Nazi went so far in anyone’s White House. But in fact cultism often has about as much relevance to contemporary politics as transvestism, which it rather resembles. Mr. Liddy supported the liberal Republican who beat him in the New York 25th district primary in 1968, to the chagrin of the Conservative Party, which had nominated him on its own line. His White House career showed a similar pragmatism, except perhaps when his G-man instincts were engaged. And Mr. Liddy obviously liked the blacks he met in prison, finding their harsh society a satisfying substitute for the Korean War he missed through illness, and possibly a rest after the Nixon White House. He quietly but systematically supplies much other evidence of lack of prejudice. However repellant Mr. Liddy’s code may be, it has some strengths, notably his evident pride in his handsome family. Men like Mr. Liddy are the falcons of society, to be kept hooded until needed. James E. Mahon, who became Eli Hazeev and died training his gun on the Palestinians ambushing Meir Kahane’s followers in Hebron, was reportedly another example. Both found no place in modern America. We need look no further to explain the fiasco at Desert One. The “American Conservative Movement” Has Ended. the American Right Goes On. 16 Comments to "Watergate—the First Deep State Coup"
Wasn’t the JFK coup prior to Watergate? I always thought it was. This Peter Brimelow article, as it originally appeared, and all the other contents of this Winter 1981 issue of Policy Review, are available for free reading in Unz.com’s extensive archival section. The journal contents are navigable by html and readable in pdf form. Brimelow’s book review appears right below a book review by Elliot Abrams, a name back in the news as of 2019, and who was, a few months after this issue hit the printing presses, to begin his stint as Head of Central American Meddling (or whatever the formal title was) in the Reagan administration. The lead article in the Winter 1981 issue is “The Oil Weapon De-Mystified,” by Douglas Feith. Many will remember Feith (b.1953; a Third-Generation Holocaust Victim) as a notorious GWBush-era neoconservative operative and passive-aggressive Iraq War pusher, whose dubiously ethical methods earned him some rebuke at the time from dissident media. Largely forgotten today, he was one of the top few involved in the scheme whereby the Iraq War was shoved on us. Feith is responsible, in part, for the long long shadow of bad news that followed from Iraq (the enormous sums of wasted money; the wasted political energy; the ramp-up of nation-wrecking “Invade The World Invite the World”-ism; ISIS; the 2015-2016 Muslim migrant wave into Europe). Feith had a characteristically soft landing after leaving government service. No resignation in shame. No harassment by a hostile media (except on the fringes at the time). I am sure he wants for nothing, wherever he is today. And yet I’d say his actions relating to Iraq are, judged objectively, a lot (a lot) worse than the trifling Watergate ‘Plumbers’ affair, for which a president was forced to resign. G. Gordon Liddy (b.1930) was supervising ‘Plumbers’-type activities for the Nixon White House from 1971, and following the Watergate burglars’ arrests in June 1972 was implicated in his supervisory role therein. Liddy was handed a puzzlingly-heavy twenty-year prison sentence in Jan. 1973, which was lessened by President Carter in April 1977, leading to Liddy’s early release from prison in September 1977. Characteristically, I suppose, Liddy used what we would call “military style” for the date. Putting the date at the bottom of a preface is the very last thing one writes in a book manuscript (or so we readers assume), perhaps weeks if nor months after the main contents are finished (except for minor edits or some level of revisions, depending). 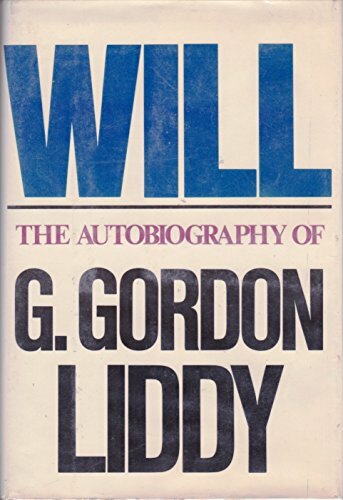 Therefore, a good bet would be that Liddy wrote the main contents of his book in 1979, with just a small handful of finishing touches in early 1980. 1979 was not a good year for America: Stuck in loosely-defined stagflation throughout that year; with arguably the most significant oil-price spike of all time (as of this writing) occurring in the second half of 1979; watching from afar as the USSR seemed to be successfully intervening in Afghanistan (over which we boycotted the 1980 Moscow Summer Olympics); and the humiliation of American hostages held by Iran (Nov. 1979). All these trends got worse in 1980 — when the Liddy book appeared in bookstores — before they got better. As far as Liddy was/is a man of “honor, strength, and courage,” 1980 was a good time for such a voice to (re)appear on the scene. To those born in the 1930s, 1940s, and 1950s, any talk of Liddy is inevitably to some extent going to induce nostaglia. People of those age-cohorts remember the peak Nixon years. They remember also, as full adults, the rather gloomy late-1970s and early-1980s period, above referenced. To those born in the 1970s, 1980s, and 1990s, though, the Nixon-related scandals (or, the anti-Nixon “Deep State coup” in James Fulford’s phrasing here) are not something out of lived experience, but something out of history books or the like. To the extent that b.1970s and b.1980s White Americans know of Liddy via lived experience of their own, and not via vague stories of a past they weren’t there for, I think it will be primarily of Liddy as a right-wing AM Talk Radio fixture. Wiki says Liddy was an active talk radio broadcaster from 1992 to 2012. He had his own show (which, AFAIK, enjoyed very good ratings) and often appeared as a guest commentator on others’ shows. He was not in the same elite echelon of right-wing talk radio as Rush Limbaugh, but he was I think in the second tier (still very high). In that sense, Liddy really landed on his feet, in the long run. The positive qualities possessed by Liddy, remarked upon by Brimelow in this book review, may be said to have “won out” in the end, in that they were recognized by his millions of listeners and fans in the 1990s, 2000s, and even into the early 2010s. If one were making a list of the top x figures that influenced MAGA as it became, would Liddy not be pretty highly ranked? I’m not entirely sure, but it’s worth a thought. Turning 89 this year, Liddy likely won’t be with us too much longer. As for a life in review, one thing I took from Brimelow’s book review is that for all his possible faults, he (Liddy) possessed as admirable moral seriousness. Which is something tragically lacking in the current president. For all the excitement around the MAGA rhetoric, the question of moral seriousness (vs. “trolling”) should have been a much bigger red flag than we his (former) supporters wanted it to be; G. Gordon Liddy, meanwhile, was no troll. The coup against Nixon is an odd one, since the folks who took power after him were generally of the same ilk. Nixon was a centrist, for the most part and the centrist repubs led by the Nelson Rockefeller, Howard Baker, Gerald Ford part of the party held power until the pretty centrist Carter could be installed. This leads me to believe the coup was simply about power and a show of strength. I can’t think think of any sins Nixon committed against the Deep State and the biggest change in the world brought about by his demise was the one in Vietnam and the rest of Southeast Asia, where millions died because the US failed to live up to its commitments. While still in high school in 1982, I attended a debate at CSU Sacramento between Liddy and Timothy Leary. I was vaguely aware of who these men were and what they represented, but I was there mostly for the extra credit in my U.S. History class. Later, I came to believe that Liddy was an unwitting accomplice in a CIA engineered coup to remove Nixon; a coup which used the Watergate break-in as its ignition point. Why would CIA elites and elements from ONI (who were running Bob Woodward, a former naval intelligence officer) want to remove Nixon? Because he and Kissinger were attempting foreign policy on the sly, attempting rapprochement with the communist powers China and the USSR behind the backs of the DOS bureaucracy and DOD. The Firing Line episode is from Jan. 1978, at which time Liddy had been out of prison less than four months. The prison experience was on people’s minds. It would’ve been a different matter if the interview were in, say, 1988 or 1998 and proceeded that way. As I see it, the prison talk in the Buckley interview simply anchors an abstract discussion of concepts of loyalty and honor: Both ‘narrowly,’ as those values relate to the Nixon-takedown attempts in the early-mid 1970s and Liddy’s small role therein, and ‘broadly,’ as relating to a man’s place in the world in all times and places. LIDDY: Users, not traders. Users. BUCKLEY: Users, sorry. Users. Then you have what one might call an independent class. And then the nobility are the organized crime types. The professional prisoners. Is there, in that hierarchy, a natural sense of hierarchy, i.e., one that harmonizes with your own dispositions, or do you find it totally synthetic? LIDDY: No. I would say the former. BUCKLEY: You would, yourself, classify the informants as the most to be despised in such a hierarchy? BUCKLEY: Notwithstanding, let us say that occasionally you have the informant whose act of informing is done not with a view to maximizing his own safety or security, but out of a sense of obligation. [Pause] It’s much safer not to inform than to inform, in certain criminal classes, isn’t it? LIDDY: Oh, that’s certainly true. BUCKLEY: Therefore, in a sense, the informants whom you despise in this category, are sometimes the most heroic figures of the lot, right? BUCKLEY: [Pause] — Why ‘No’? LIDDY: Because, while I admit the possibility, I have yet to meet a “real one” who informed for those altruistic reasons. You don’t see them in prison, and you find that those that are there — for example, the person whom you have postulated would not continue to inform. And yet you’ll find that they do. They just run around informing as much as they can, about everything. And if there isn’t anything to inform on, they’ll make it up sometimes. he (Liddy) possessed as admirable moral seriousness. Which is something tragically lacking in the current president. Not to mention the subhuman trash of the New York Times, Washington Post, CNN and so on, owners, editors, journalists; the Deep State nightcrawlers such as Rod Rosenstein, Peter Strzok, James Comey and other coup plotters at the CIA, FBI and NSA; a legal system marbled with corrupt political interest; the Democratic Party establishment, including Clinton, Feinstein, Pelosi and a long rogue’s gallery of murderers and thieves. Did I forget anyone? All of these a thousand times worse than Trump, just to point out the obvious. Several glaring falsehoods have to be addressed here. Those presidential administrations did not attempt to illegally obtain information directly from Democratic National Headquarters. While it is accurate to say that he was passed over to become head of the FBI, it is also accurate to say that he was privy to illegal crimes being committed and, given the unique circumstances involved–he is in the serpent’s nest–he choose to ensure that justice prevailed. In other words, it was decidedly about the rule of law. Actually, Agnew took kickbacks from contractors during his time as Baltimore County Executive and Governor of Maryland. The payments had continued into his time as vice president, with Agnew directly talking to legislators and trying to convince them to ensure that those contractors would receive federal work. There were bank records and direct testimony regarding his activities. That is not allegation. LOL. All three men had access to high powered lawyers who were paid handsomely for services rendered. All three men put up a vigorous defense. Because they were found guilty, it is to be expected that they would harbor sour grapes. Had they won their cases, they would be singing the praises of our justice system. Serious crimes directed at the behest of his boss, Richard Nixon. Moreover, it is common place in our justice system for plea deals. You mean allegations that had yet to be disproved, and allegations that while at the time was speculation, ended up being definitively proved in the end. They are thinking fast there. You can really tell when the talking heads are not reading a teleprompter. 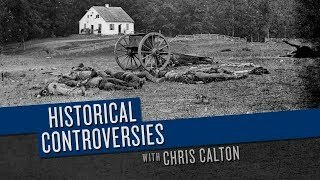 Having watched the full program, I must say I really appreciate the dignity of their discussion, which, because it stayed gentlemanly, was surprisingly informative. Towards the end, a third-party discussant, a journalist named Charles Corddry, took over and asked a series of questions to both the host (Buckley) and the guest (Liddy), questioning both of their premises and asking some follow-up questions. Pretty classy all around. Nothing of the high-tempo badgering of a Chris Matthews. It is not hard to imagine the same discussion today, forty years later: One’s mind’s eyes can see and hear it all: The frantic, scripted-like character of the late-2010s version. The noise. So much bad-faith and talking-point-ism as to be unwatchable, except as a kind of exercise in team-sport — which is what all cable news is. Our corporate media tries to ignore real news, but Fox News fouled up when it reported that our military’s senior Generals used military aides to spy on President Nixon and his staff. I suspect this continues to this day. This supports the theory that “Watergate” was a CIA/Pentagon plot to oust Nixon. I was a foreign grad student in the US in the late 60’s. The WW2 mentality was still prevalent. An aggressive foreign power which invaded other countries, committing atrocities on an industrial scale, was diabolical. And all those connected with it — its conscripted soldiers, its political leaders, its citizens who paid for it with their taxes, were guilty. Their children were guilty. 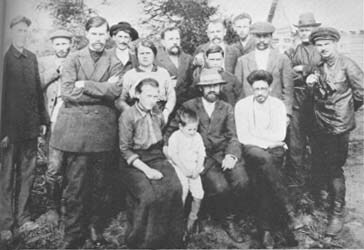 And their children’s children. The only ones who were free of guilt were those who were prepared to risk their lives to bring down the evil regime. I was only a visitor. But in the preceding generation even visitors to Germany were deemed guilty of aiding and abetting Nazi horrors. I am glad now that I did not attempt to set fire to military installations, or attack politicians at meetings. But the moral dilemma was such that I cut short my US graduate studies and got myself out of the place. A coward’s solution to the dilemma, I suppose. Nothing much changed in the USA over the intervening half century. I was pleased when Trump arrived on the political scene. He could liquidate American destructive power where others failed. Even though that was not his intention. 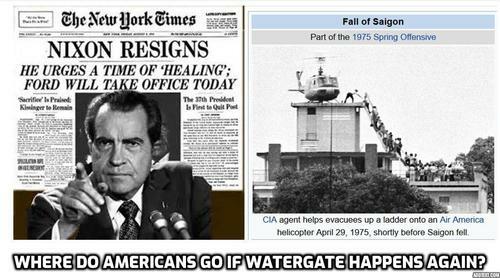 As to Watergate and the Peter Brimelow article above. Richard Nixon, had he got the chance, might have accomplished what President Trump has achieved. But it is a very detailed description of what occurred and it is dark and frustrating. And The behavior of Judge Sirrica are unfathomable. The atmosphere was so toxic that the democrats could do nearly whatever they chose without challenge is said challenges fall flat. 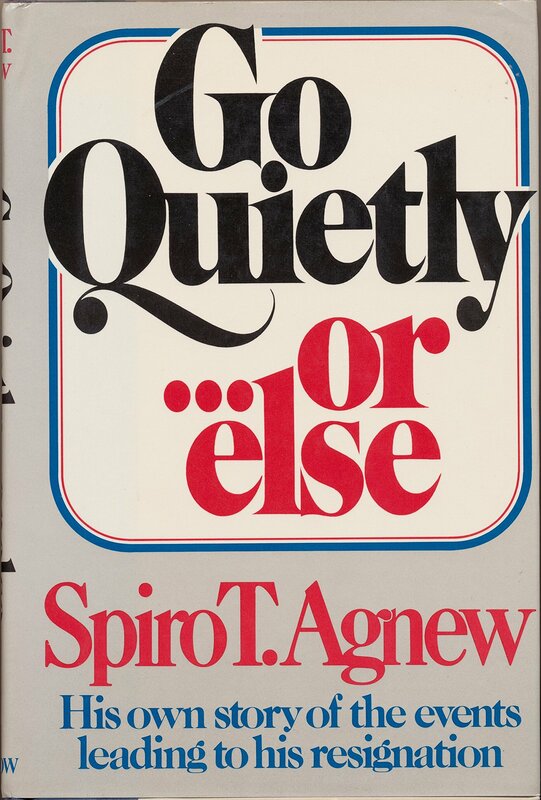 It also explains in detail how and why details can get taken completely out of context as people involved act their assumptions as opposed to what they know and how events can so spiral as to make finding out what you don’t know hazed in the mist. Unfortunately for president Nixon, there was an actual break-in. Unlike the matter currently, there was no preceding evidence of a crime. I think it was appropriate to the matter of Watergate side by side the other distorted, mischaracterized, upside rhetoric regarding Vietnam. Blockbuster of an article, thanks !!! Maybe they’ll give Jim Acosta a rifle and send him on top of the book depository as a lookout. BTW why was this article take off from today’s Unz front page ?